© ATTA KENARE/AFP/Getty Images Thousands of people gather in the south-western Iranian city of Ahvaz for the funeral of those killed during an attack on a military parade in the city, about 560 kilometres (350 miles) south of Tehran, on September 24, 2018. Iranian state media say the country's Revolutionary Guard has fired missiles into eastern Syria in response to a recent attack on a military parade in Ahvaz. State television and the state-run IRNA news agency said the attacks "killed and wounded" militants, without elaborating. The report Monday specified the missile launches came after the Ahvaz attack, which killed at least 24 people and wounded over 60. 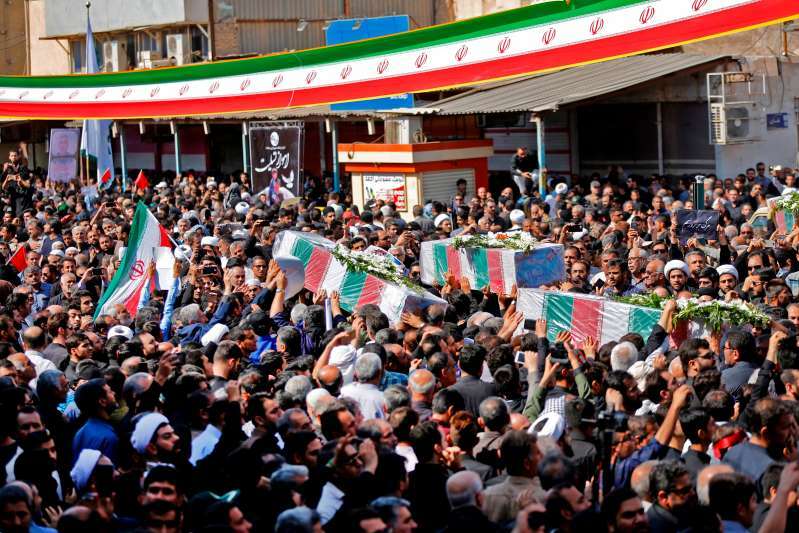 Iran has blamed Arab separatists for the attack. The Islamic State group also released footage of several men that Iran later identified as the attackers.